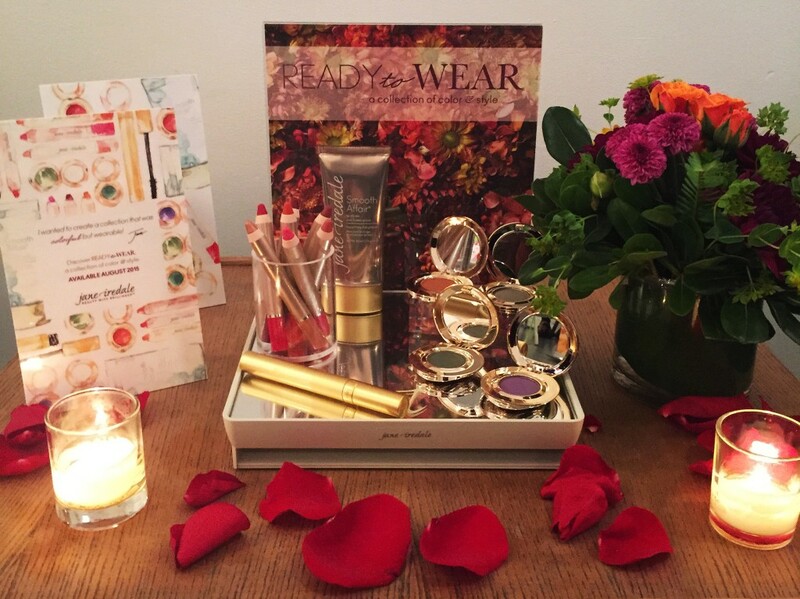 jane iredale, a top makeup choice of skincare professionals, held a fab event recently that I was lucky enough to attend. It was an evening of #creativity and #color. 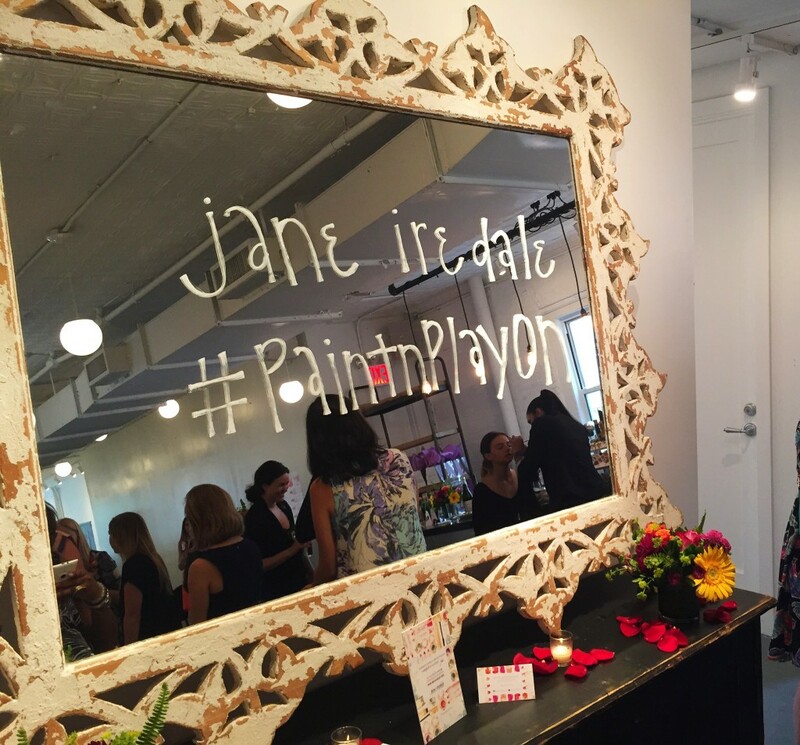 The night consisted of mini makeovers during cocktail hour (a pamper sesh & delicious cocktails… I was sold in 5 seconds), a paint lesson and a sneak preview of the new launches from jane iredale’s Fall 2015 color collection! 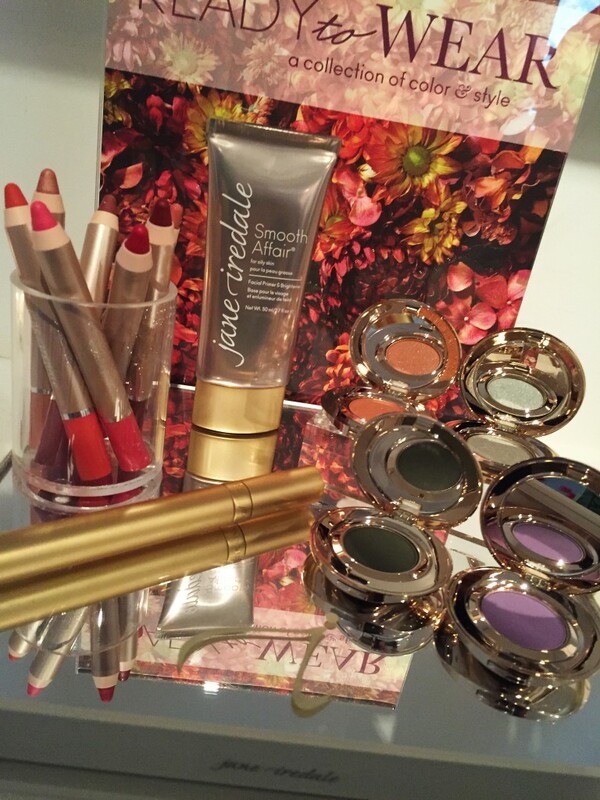 During cocktail hour, I was able to get a better sense of what jane iredale makeup is all about. 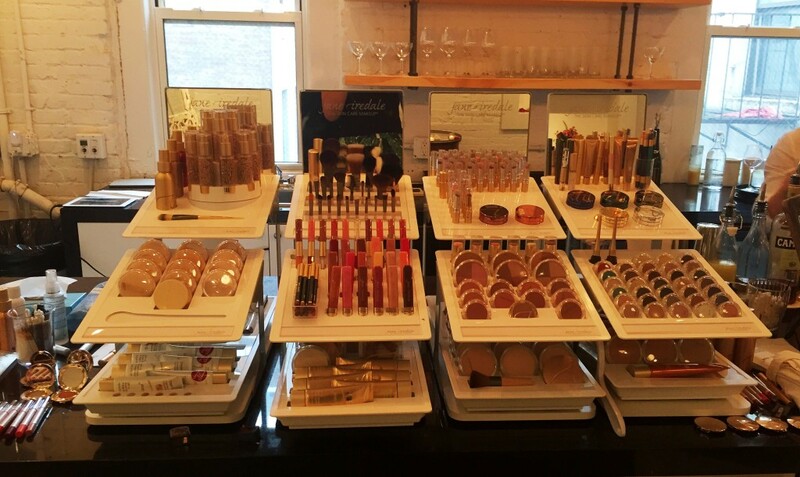 jane iredale – THE SKIN CARE MAKEUP, is a comprehensive line of makeup developed with quality minerals and skin care ingredients that are good for your skin and help to create a healthy, radiant glow. Not only is each product subject to rigorous sensitivity and safety tests to ensure it is good for the skin, but it is also recommended by plastic surgeons and dermatologists worldwide. Though I’ve probably mentioned this at least a million (& two) times, my sensitive skin can’t handle every product. Hearing that this makeup is recommended worldwide by dermatologists was a double thumbs up for me. I was more than ready to dive into this collection of color and style. The new Fall collection consists of lip crayons, eye shadow singles, mascara and a facial primer and brightener. 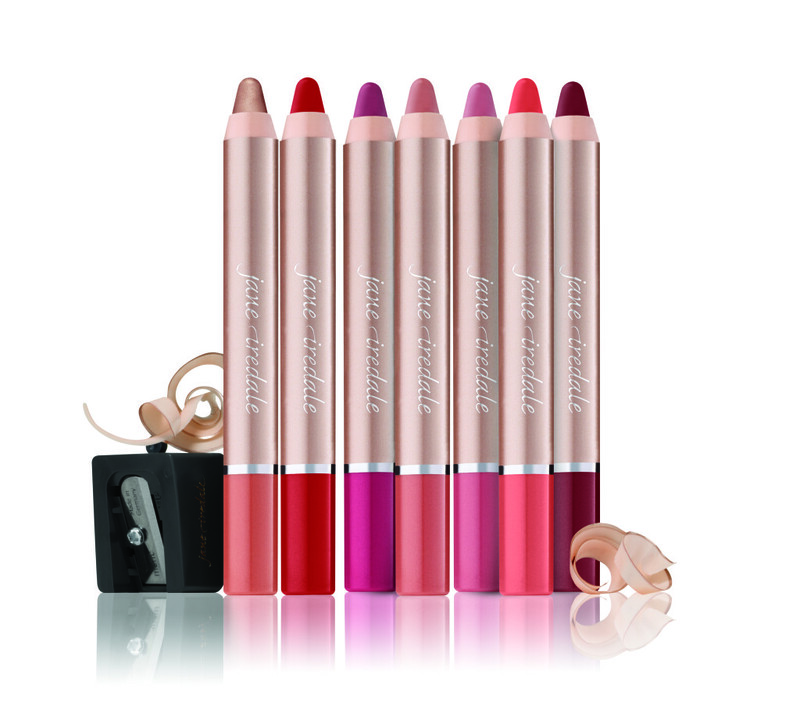 The PlayOn Lip Crayons come in 7 modern and versatile shades, and give amazing color pay-off! They have a super soft and creamy application, which is also easy to blend. Each lip crayon contains a high concentration of moisturizing oils that leave lips conditioned and soft. My favorite shades were Naughty, Luscious and Yummy. 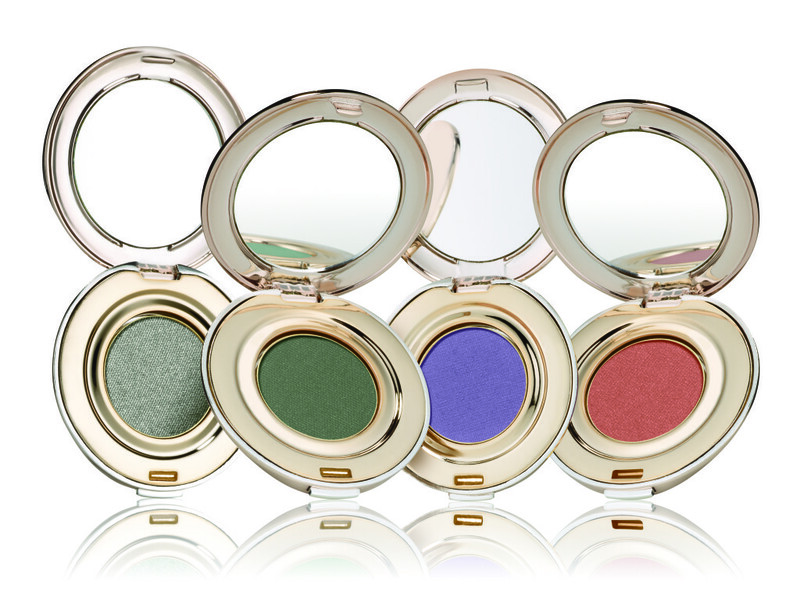 The PurePressed Eye Shadow Singles are bold, yet wearable shades. Each shadow is mineral-based, pressed and designed to enhance the color and shape of the eye. The shadows can also be used wet or dry, and are super safe for sensitive eyes. Something else that I thought was cool (mind you I’m not the most makeup-savvy) is that each can be used on the lips or cheeks as a stain or blush! I’m not exactly the most adventurous when it comes to eyeshadows, but between the new shimmery sea foam green (Mermaid) and matte cool violet (Iris), I have some experimenting to do. I love clean, long looking lashes, so I was all about the PureLash Lengthening Mascara! The new dual-sided brush creates longer, fuller looking lashes. While the blend of Seaweed Lipids and Wheat Protein in the mascara helps to thicken, curl and strengthen the lashes, they don’t clump up which is always #muybueno. The formula is free of lacquers, shellac and petroleum-based ingredients, and helps to protect lashes in order to reduce splitting and breaking! Last, but certainly not least, is the new Smooth Affair for Oily Skin Facial Primer and Brightener. I usually do not use facial primers or brighteners, but this is one velvety smooth and has a number of benefits. This award winning primer and brightener nourishes the skin, reduces the appearance of pores, visibly reduces shine (#WAAAAAAYUP #IFeelBlessed), fights blemishes and clogged pores and the color adjusts to your skin. This primer and brightener is now one of my new favs! While my painting skills are… okay (? ), I think it’s safe to say this event was more than a success. While enjoying some laughs and unveiling my creative juices, I was also able to learn about (& TAKE HOME!!) makeup products that are truly #amaze. 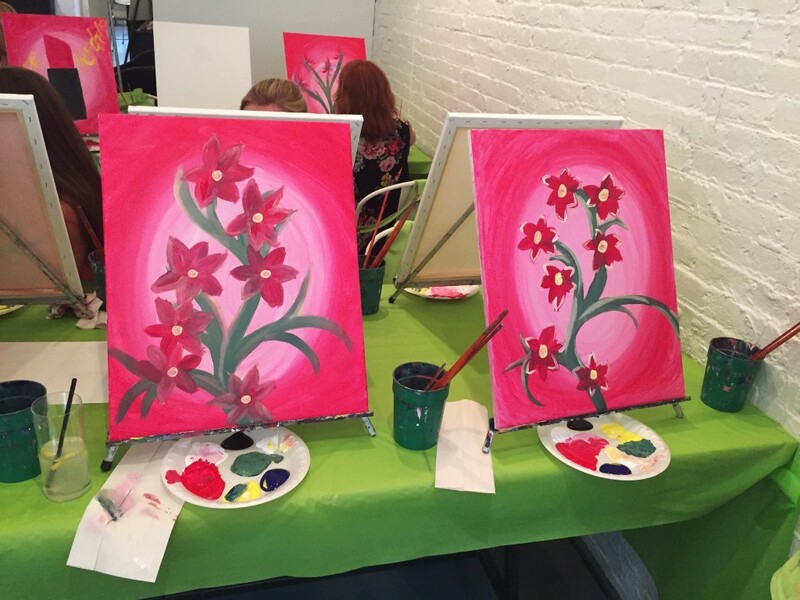 A night filled with beauty and creativity — what more could a DIVA want?